When a foreign work is translated into English, so much depends upon the translator. The translator’s responsibility lies not only in the rendition of each word, but also in the successful expression of the author’s meaning in a way beautiful enough to move the reader. When it comes to a language like Japanese, sentence structures and certain words have no simple equivalency in English, meaning that the translator has a duty to create his own prose. Often translations of Japanese works into English are awkward and difficult to enjoy. The fault lies not with the foreign language skills of the translators, but with the lack of ability to convey the beauty the author had articulated in the vernacular. 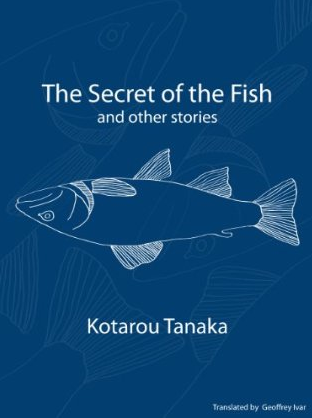 Geoffrey Ivar skillfully translates meaning, tone and emotion, making “The Secret of the Fish and Other Stories” by Kotarou Tanaka fluid and pleasant to read. His clear, simple prose illustrates the stories and allows certain moments of Tanaka’s works to shine. The second story presented, “The Soldier Who Vanished Into Thin Air,” (1938) is the weakest of the three. It’s a very short piece, with a very predictable twist. Unlike “Moths,” there are no vibrant characters, and, unlike “The Secret of the Fish,” it lacks powerful and memorable imagery. Essentially, the story concerns air force pilots whose comrade mysteriously vanishes during a drill. These pilots periodically meet their lost comrade at unpredictable times as they fly. There is nothing particularly striking about this ghost tale. Overall, I found this short collection of stories to be remarkable. I recommend this to anyone interested in short stories and certainly recommend it to any fans of Japanese literature. Ivar’s translation provides the first collection of Tanaka’s stories that is readily available to western consumers on sites such as amazon.com, currently on sale for 99 cents. It is also available on Smashwords.com in Kindle, PDF, Epub, and other formats. A fine review of an excellent compilation. Now, I should be back to my study of dinosaurs. Thank you for your kind words Mr. Shindo! Awesome review! Makes me want to read the stories now.